What I actually expected this morning was to wake up & login in to the http://www.myticket.asia and read that the site had crashed from the amount of people trying to get in xD haha a big “ERROR 521 – Server Down” sign haha But then again it was already announced there were only 6,500 tickets available…. but then again it’s Miku… people from Europe might even be trying to get some tickets!! Exact details are not yet known…. sometimes this doesn’t mean that the all tickets are sold out, X amount of physical tickets are still available for a later date…. block booking amount of tickets for corporate folks, or even X amount allocated for upcoming contests for the sponsors + partners! Anyhow there will be many fans disappointed that they couldn’t get tickets… but I congratulate the organisers Astro for a job well done. Why? Well because this is the first time in a very long time that a Japanese artiste concert has been professionally organised & SOLD OUT!! 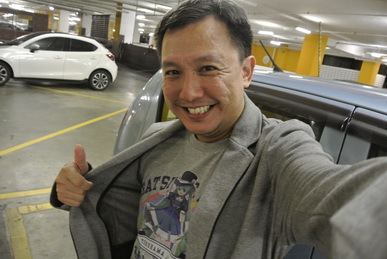 A month ago, Comic Fiesta dropped the Earthbound Papas bomb on us and the fans went nuts. 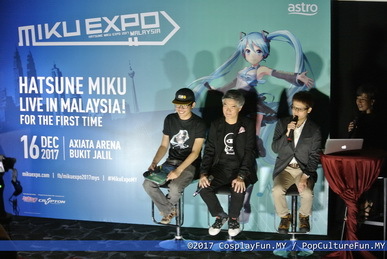 Then a MikuPa page was made for Miku Expo in Malaysia 2017… on the same date of 16 December 2017 with no additional information till this date – the date of the press launch!! It was a busy weekend & week but I managed to get my Magical Mirai Yokohama 2013 ready… and I am all set! So excited! Anyhow, here are the sights and info gathered, followed by the official press release! On stage was the 3 most important people of the day! Mr. Kimitaka Nishio, CEO Office Manager of Crypton Future Media, Mr. Henry Tan COO of Astro Holdings Berhad and Mr. Ng Yubin, from the eGG Network, in which I believe with be a driving & promoting force for the pre-concert activities and promotions. So Nishio-san started off by introducing Hatsune Miku everyone. Followed by Mr. Henry Tan & Mr. Ng. Next the opening acts were unveiled, which were chosen by the folks at Astro. They are YouTube Sensation Ms. Chaleeda Gilbert featuring Thai Rapper Dandee and the hottest star in Malaysia Mr. Zizan Razak aka. Abang Long Fadil! Chaleeda Gilbert, of Thai and British descent, the first international act to be signed to Rocketfuel Entertainment, Malaysia’s #1 Indie Music label. Zizan is no stranger to the average Malaysian. Accomplished comedian, actor, singer, rapper, host, TV personality and a favourite in the hearts of Malaysians. Details on what other pre-concert activities will be announce as time progresses. Check out our full photo album on Facebook here! I wanted to end with this joke! For all the friends & fans out there who call Miku their WAIFU, take a good look at Nishio-san, because he could be the closest you get to a LEGIT ‘uncle’ in this sense xD haha I had a great time. MAKE A DATE WITH HATSUNE MIKU ON 16 DEC! 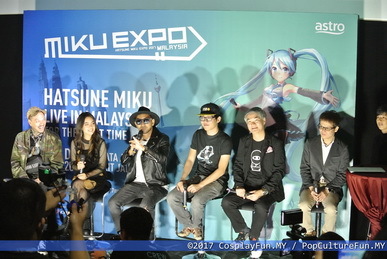 KUALA LUMPUR, – Fans of global sensation Hatsune Miku can now meet their virtual idol “live in person”! Astro in partnership with Crypton Future Media, INC is bringing the highly anticipated, Hatsune Miku Expo 2017 – to Malaysia (#MikuExpoMY). This first of its kind concert performance is for one night only on 16 December at the Axiata Arena Bukit Jalil. The teal-haired 16-year-old cyber celebrity from Japan has over 2.5 million fans globally and 80,000 loyalists in Malaysia. Hatsune Miku has collaborated with Pharrell Williams, supported Lady Gaga on her ArtRave tour and has a repertoire of hundreds of thousands of songs in multiple languages. 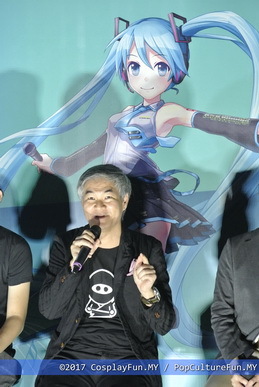 Henry Tan, Astro Chief Operating Officer said, “Astro is excited to bring the first ever Hatsune Miku live concert to Malaysia. This ground-breaking concert is the only performance in Southeast Asia this year, so be sure not to miss this sensational experience. As the voice of the future, Hatsune Miku brings forth a new and novel experience where her songs and performances are crowd sourced from millions of fans globally. Hatsune Miku is a unique content that has a strong following internationally as she transcends culture, language and borders. 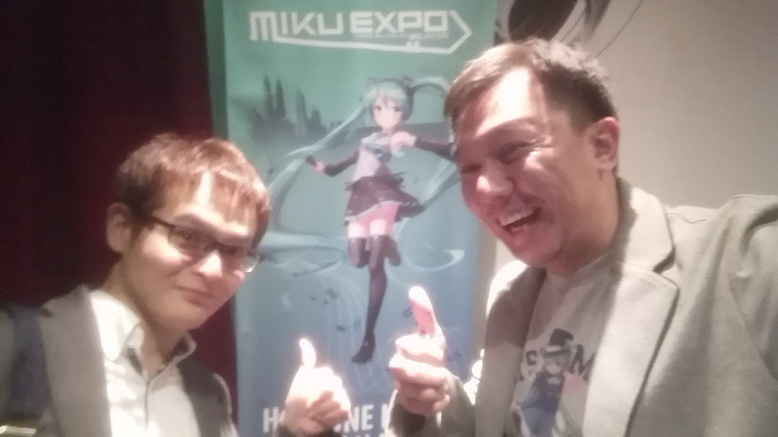 Kimitaka Nishio, CEO Office Manager at Crypton Future Media, said “Three years ago, Hatsune Miku Expo kicked off in South-East Asia with a historic live performance and exhibition in Jakarta that set the foundations of this fan-centred event celebrating collaborative creativity. 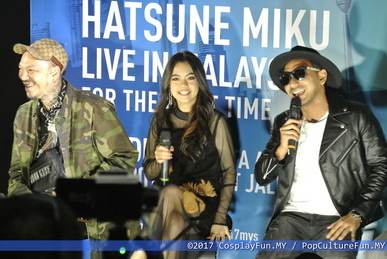 YouTube sensation, Chaleeda Gilbert and Malaysian superstar, Zizan Razak will open the concert for Hatsune Miku. 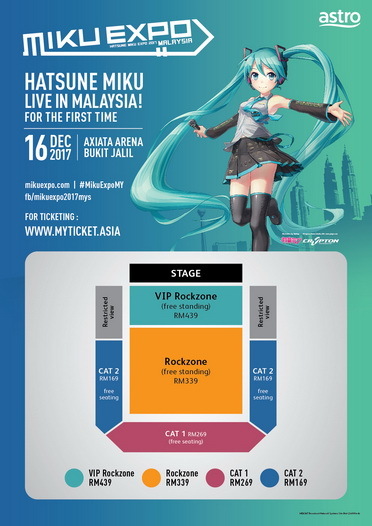 The Hatsune Miku Expo 2017, will be held at the Axiata Arena Bukit Jalil on 16th December 2017 at 8PM. Ticket Prices are RM169, RM269, RM339 and RM439 (excluding ticket fee and GST). Ticket sales will commence on Sunday, 8 October at 10AM online through www.myticket.asia. Get the latest news via mikuexpo.com and fb.com/mikuexpo2017mys. Hatsune Miku was released on 31 August 2007 and her voice was sampled from Japanese voice actress, Saki Fujita. Miku’s name comes from putting together the words: First(Hatsu), Sound(Ne), and Future (Miku). Hatsune Miku isn’t a digital persona for a real singer. She’s actually a synthesised character, called a Vocaloid. Not only is her image on stage generated by computer, but her singing voice is totally synthesised, too. As her voice can be synthesised, Hatsune Miku sings in multiple languages and has hundreds of thousands of songs available to date! None of the songs that Hatsune Miku sings and performs actually come straight from Crypton Future Media. Instead, creating her songs is a widespread fan effort, with devotees around the world using her program to write and orchestrate songs for her. Miku’s outfit design is partly based on a very popular synthesiser keyboard. The colours, and some of the motifs on her clothes are inspired by that instrument. For a “vocaloid-opera” performance called “The End”, famous Louis Vuitton designer, Marc Jacobs has created a dress specifically for Hatsune Miku. Hatsune Miku has worked with the biggest acts in the world, from opening for Lady Gaga, to appearing in Pharrell’s music video and singing alongside Japanese artists like Bump of Chicken and Namie Amuro. Hatsune Miku made television history when she was the very first virtual singer to appear on a major U.S. late night talk show, The Late Show with David Letterman on Oct. 7, 2014, as the musical guest. There are other characters similar to Hatsune Miku from Crypton Future Media such as Megurine Luka, Kagamine Rin, Kagamine Len, KAITO and MEIKO. However, Hatsune Miku remains the most popular in the market and became the world’s first virtual idol.